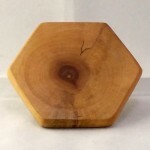 Base: WoldStand Hexagonal Sycamore 3in. 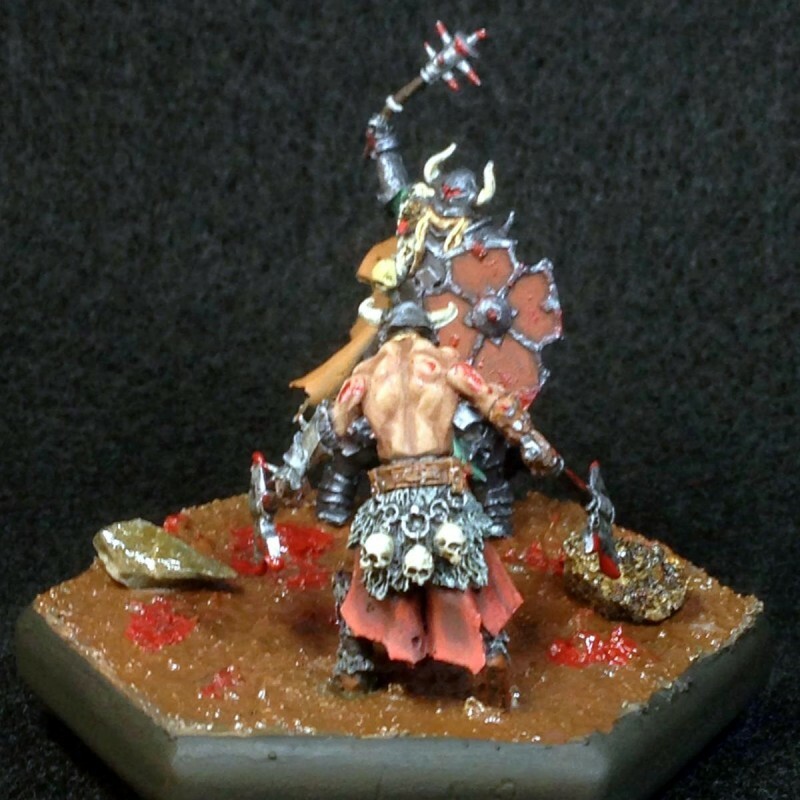 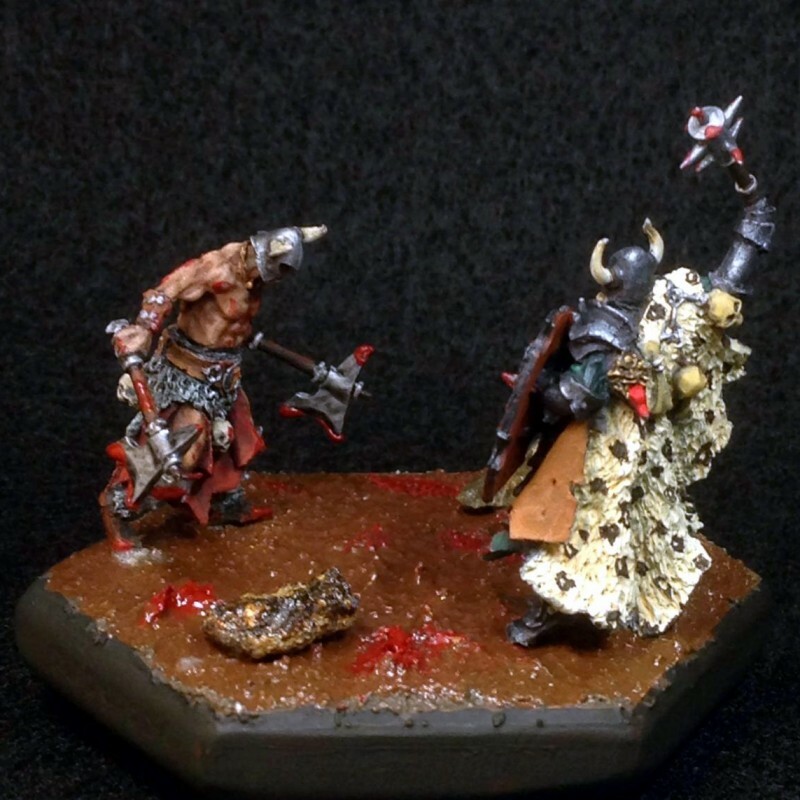 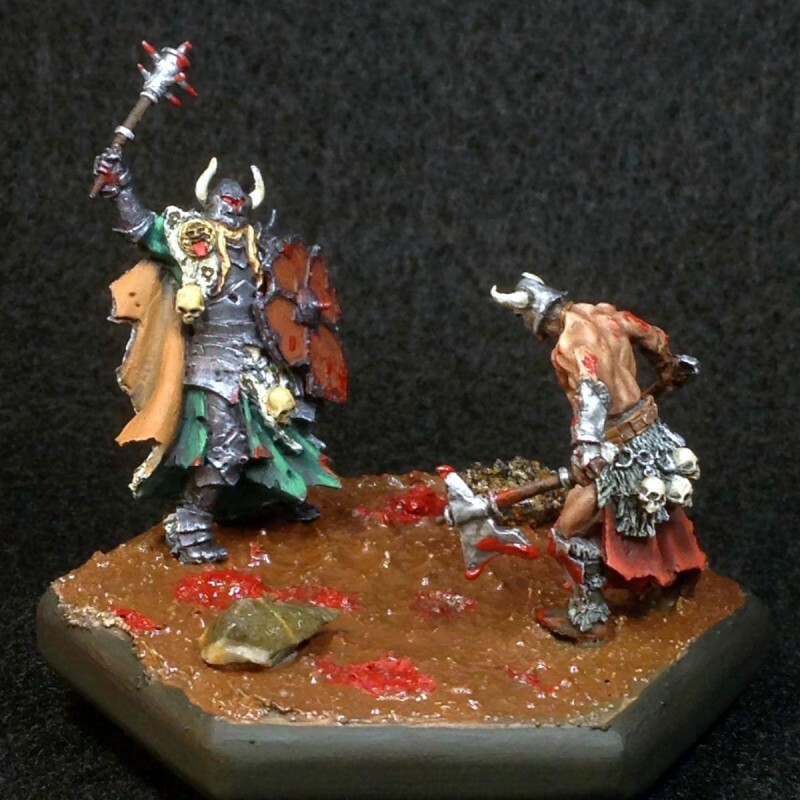 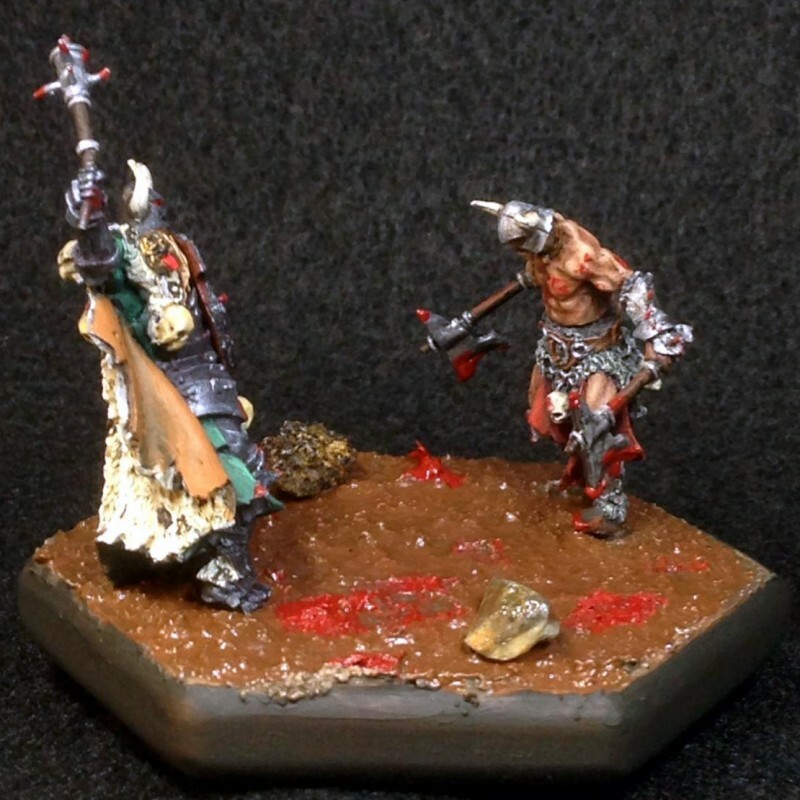 My buddy Ub3r N3rd over at Reaper Miniatures forum has taken two of Red Box Games miniatures and created that moment in a combat where the two champions find each other on the battlefield and begin the dance while everyone else gets the hell out of the way. 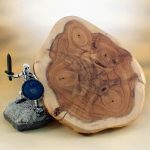 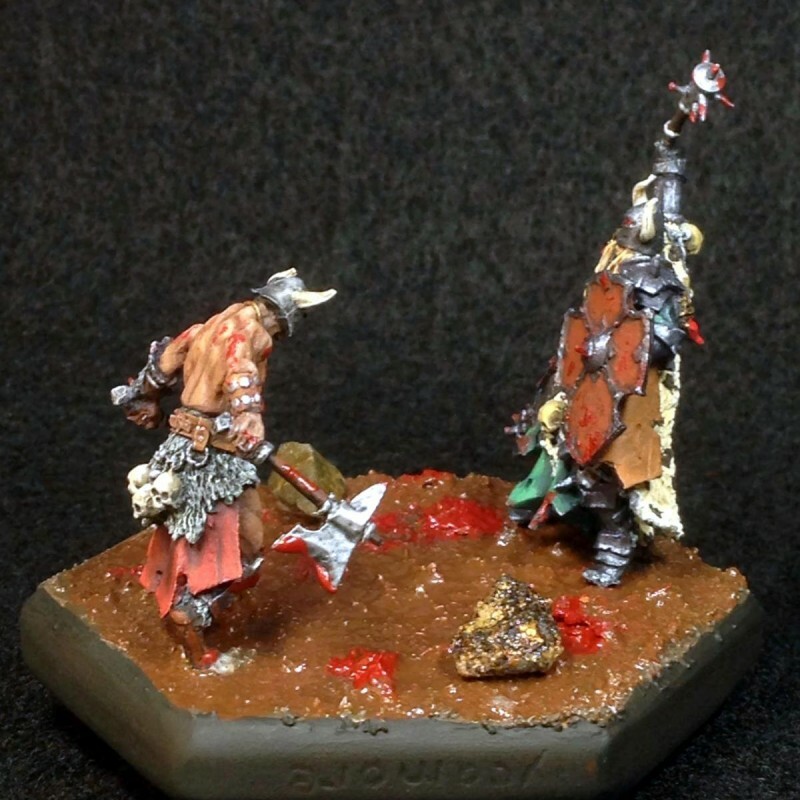 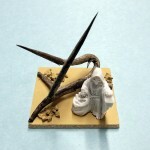 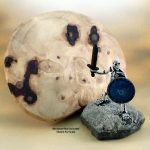 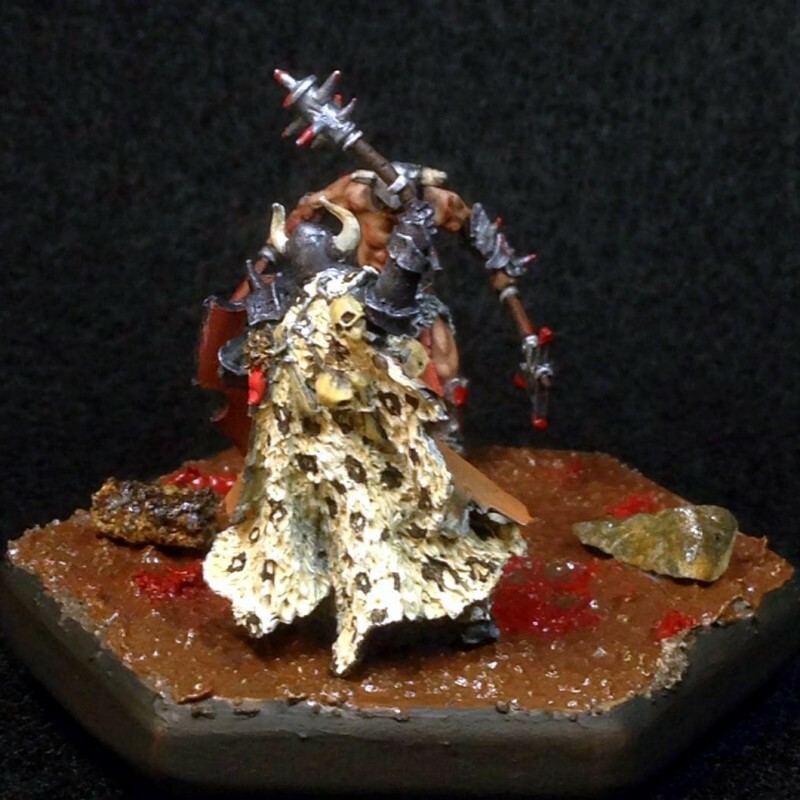 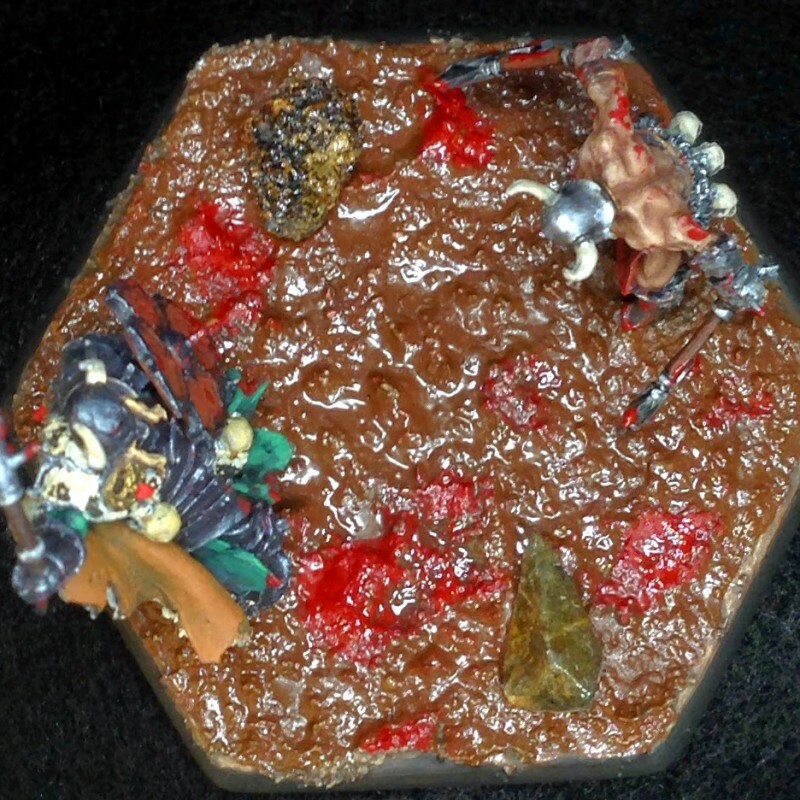 He applied some Resin Sand and muddied up the base for his battlefield. 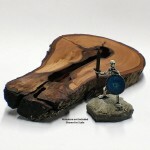 ← Markshire Studios introduces WoldStand Displays.